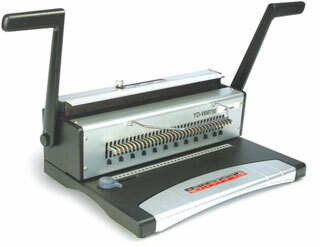 Solid steel mid level Wire Binder for everyday use. Suits regular medium volume Binding. Margin Depth Adjuster (2-5mm)-holes from edge of page. Releasable dies-adjustable push in/pull out-for binding smaller size documents.